I do yoga at least once a week and usually on Sundays. I do the very basic yoga poses and watch YouTube beginner videos when I do it. I also use yoga blocks to help when I don't have a long enough reach or need help with stability. It really helps me relax and is a nice change from cardio or my walking exercise. 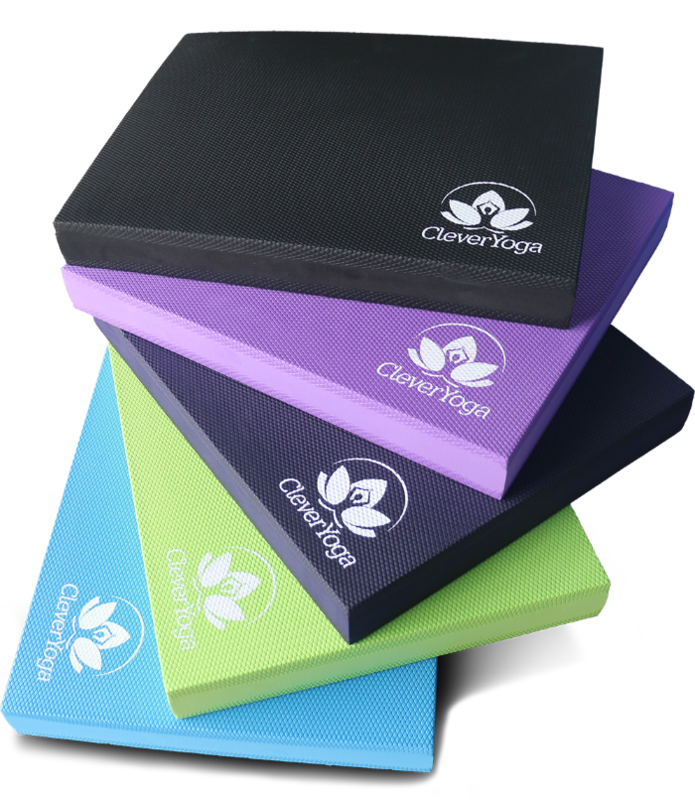 I have been wanting to improve on my stability so it was the perfect opportunity to review the Clever Yoga Balance Pad. It is a large and super thick pad that can help with your balance, core muscles, yoga training and advanced yoga training. I first used it by sitting on the pad with my legs crossed. It felt really nice to just sit on it with my back straight while I closed my eyes and meditated. It took a little bit of core muscle to be able to sit straight. Then I started using it to help with my balance and stability. I used the following video and worked on the different exercises little by little. I have been doing this video a few times a week for three weeks and have noticed a difference in my balance. I am usually a clumsy person and have noticed that I haven't tripped or lost my balance once. This helps when I constantly have to catch myself from falling with all the little toys my toddler leaves on the floor. Now that I am comfortable doing the first video I will be incorporating some of the steps and moves shown in the following video. I have also started using it as a knee pad when I have to do certain exercises that require you to be on your knees for a long period.